This has become my standard breakfast whether at home or on the road. When traveling, I take along a pre-mixed bag of the dry ingredients. When it’s time to eat, I just add water. The beauty of this basic breakfast mix is that there are numerous variations on the theme. The basic mix provides a good meal in its own right. But you can expand the range of options with fruit and yogurt, or experiment with other ingredients like flaxseed or olive oil. Plus, the meal can be prepared hot (by adding hot water) or cold (in a blender). 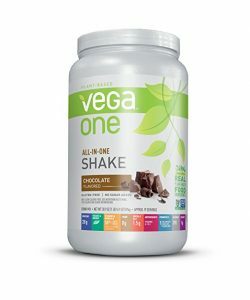 The evolution of this recipe began with my love of the VegaOne All-In-One chocolate shake, which I made in the blender. I began experimenting by adding chia seeds, bananas and additional whey protein. Then I made the leap to mixing this with oats and turning it into a hot breakfast. At this point in its evolution, it has become a complete power breakfast with multiple ways to prepare and serve. As described below, the meal can feed one hungry athlete or be shared among two people. You can add/delete ingredients and modify amounts according to your own tastes and nutritional needs. For example, you can simply use the VegaOne or the whey protein rather than both. You can cut the amount of chia seeds for less fiber, and experiment with other fruits like blueberries and strawberries. This preparation creates a hot cereal. You will need a kettle to heat water. Mix dry ingredients together in a bowl (along with goji berries, if applicable). Stir in 1 cup to 1.5 cups of hot water. The amount of water you use will depend on how thick you like your cereal. Add other optional ingredients, such as sliced banana and yogurt. This preparation creates a thick shake or smoothie. You will need a blender. 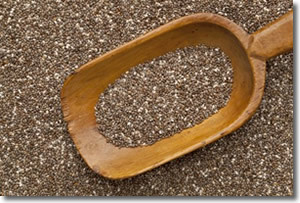 With this preparation, there are two options for the chia seeds: dry or soaked. Dry chia seeds will be crunchy whereas soaked chia seeds (my personal preference) provide a more gelatinous consistency to the shake. To pre-soak chia seeds, place the seeds into a water bottle for a few hours until they become gelatinous. Put basic mix into a blender, including either dry or soaked chia seeds. If using a banana (recommended), add now. Dried goji berries do not work as well with the cold preparation. Blend ingredients to desired consistency, adding water as needed. If using yogurt, add to the top of the smoothie for a creamy deliciousness. *Calories and carbohydrates vary slightly for the unflavored and chocolate versions of the True Athlete Natural Whey Protein. The nutrition facts above represent an average of the two. 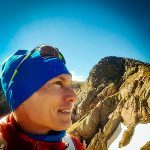 Adam Hodges, PhD, is a trail runner, multisport athlete, and coach with credentials from USA Triathlon and the American College of Sports Medicine. 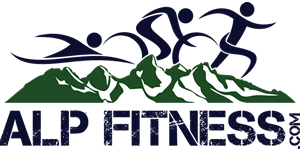 In addition to coaching multisport athletes, he has coached high school cross country and track runners in California and masters swimmers in Colorado and California. As a USAT All-American triathlete, he has competed in the ITU World Triathlon Championships, the ITU World Duathlon Championships, and the Ironman World Championships in Hawaii. 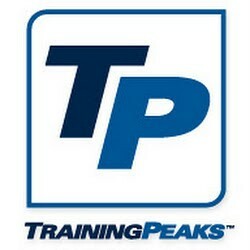 As a masters runner, he has won a series title in the XTERRA SoCal Trail Series. He began running in his youth and enjoys passing on the knowledge and experience he has gained over the years to both new and experienced athletes seeking to maximize enjoyment, competitiveness, and longevity in the sport.